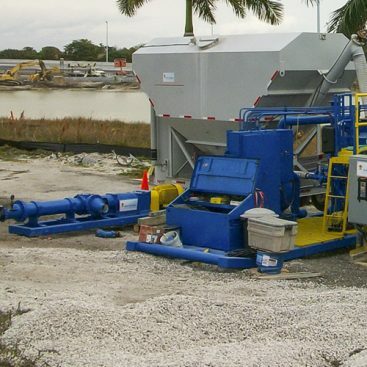 Soft ground improvement for the construction of a new solid waste cell. 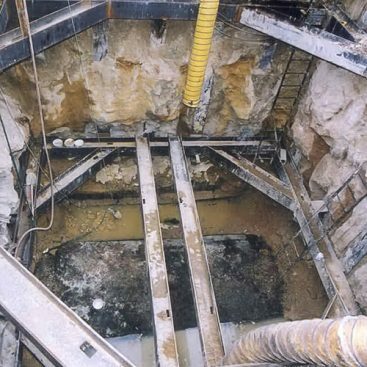 The Stage 8 Ground Improvement Project was completed using a track mounted drill rig fitted with a Delmag rotary head to spin a large diameter auger. 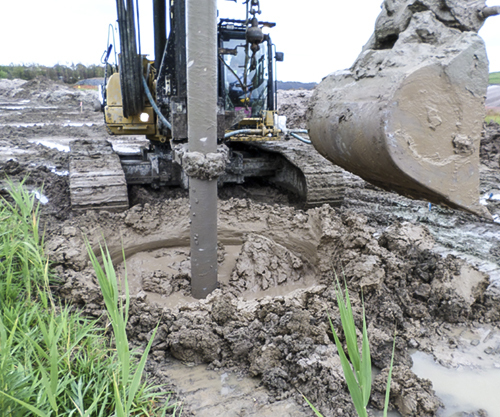 The soil mixing auger was used to mix the soil in-situ with a Portland cement based grout. The existing soil is largely composed of a soft clay layer which limits the ability to construct the new solid waste cell. This soft clay layer underlies the majority of the Seneca Meadows Landfill site and was the cause of the Stage 7 Ground Improvement Project complete in 2013. 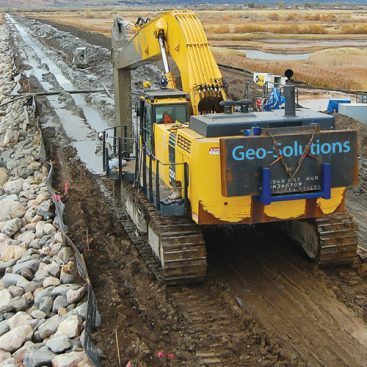 This in-situ soil stabilization method was chosen for the project largely due to the success of the 2013 Stage 7 project which demonstrated the ability of this process to cost effectively improve the undesirable soils in a timely manner. Installation and excavation of four test columns. Installation of 96 nine foot diameter soil mixed columns. Maximum depth of 23 feet. Soil mix zone ranged in length from 12 feet to 19 feet. 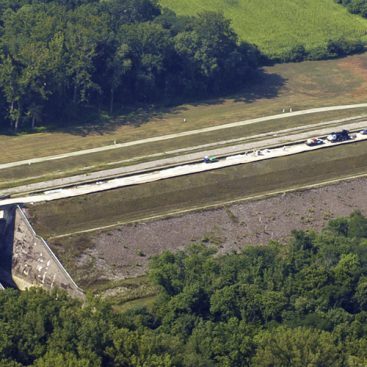 97,000 cf of soft clay was stabilized with 731 tons of Portland cement. Average UCS of stabilized clay was 212 psi after 14 – 28 days of curing. 10 of the columns were cored to provide a physical observation of the mixed soil. Work completed over 6 weeks, including 2 weeks of setup / teardown. Cover >25% of the surface area (aerial) with stabilized columns that extended above and below the known extents of the soft clay. Ensure that the strength of the composite treatment zones was greater than 1000 psf.